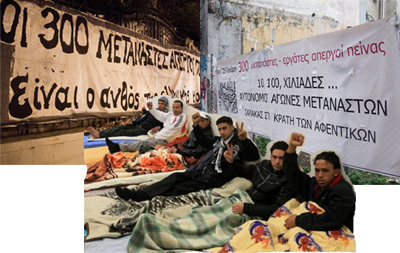 The desperate struggle of the 300 immigrant workers, who started a hunger strike on 25 January in Athens and Thessaloniki ended in a victory. The 300 immigrants endangered their lives in order to demand their self–evident right to a life in dignity. 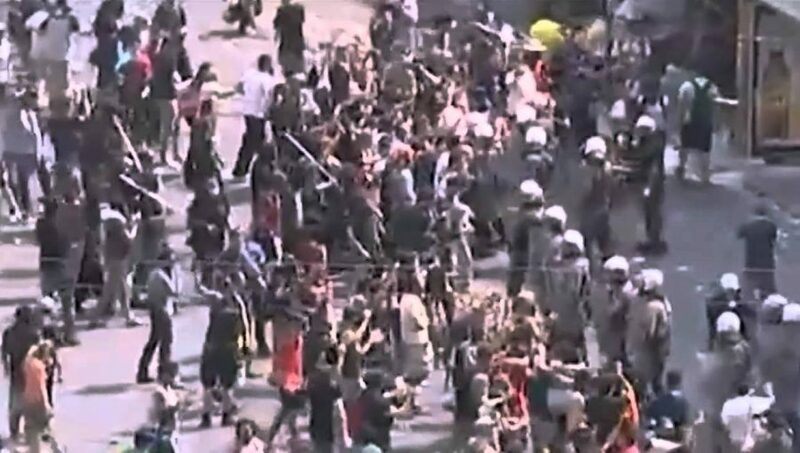 The successful outcome of the struggle, which was a great victory for the immigrants’ movement in Greece, came on the 44th day of their strike and after the transfer of over a hundred of them to hospitals. On Wednesday, 9 March, the relevant ministers of the Greek government met with representatives of the strikers and the Solidarity Initiative which supported them. The fear of what could happen in case of one or more deaths, but also the pressure from a determined solidarity movement, finally obliged the government to make proposals which satisfied most demands. The news was transferred to the Assembly of the hunger strikers, which decided to accept the proposals and end the strike. The victory was celebrated and met with tears of happiness. The hunger strikers immediately entered a process of gradual feeding. Banners in Athens declare support for the immigrant hunger strikers. The 300 hunger strikers were provided with a “six months’ state of tolerance” (this corresponds to residence and legal rights) which is renewable until full legal recognition is granted. Permits were issued which would allow travel to their home countries with the right of return every six months – and more for health reasons. At the same time the government made a public commitment to reduce the time, for all immigrants, before residency is granted from 12 to 8 years. Moreover, the government agreed to reduce the number of working days required for the renewal of residence permit from 200 to 120. Finally, the government also conceded that state medical care should be available to Greek and immigrant workers after 50 working days, previously this had been 80.
be fair to neglect the exemplary work of the Solidarity Initiative, most members of which have a long history of similar struggles. The Initiative was made up of various left-wing and anarchist groups who despite their ideological differences and contradictions tried to build a broad solidarity movement (comprising trade unions including the Greek General Confederation of Labour, municipal councils, intellectuals, artists, journalists etc). During the period of the strike, a broad network of activists in solidarity with the immigrants provided moral and practical support to them on a daily basis. This was of crucial importance especially at the last stage of the struggle, when they not only transported in private cars the sick immigrants to hospitals, but also stood by them day and night. Unfortunately, the majority of political forces and all mainstream media unleashed the most slanderous attacks against the members of the Solidarity Initiative, which went so far that some of them, including two members of the Youth of Synaspismos, were prosecuted for illegal trafficking of immigrants. The strike left its mark on the political scene, since it obliged all political forces to take a clear position on it, revealing their differences in the crucial issue of immigration, with the ruling Socialists (PASOK) and the Conservative opposition (New Democracy) in Parliament speaking the word of the extreme and populist right-wing of LAOS, while the parliamentary Radical Left of SYRIZA and also at a later stage of the Greek Communist Party (KKE) were supporting the strikers. 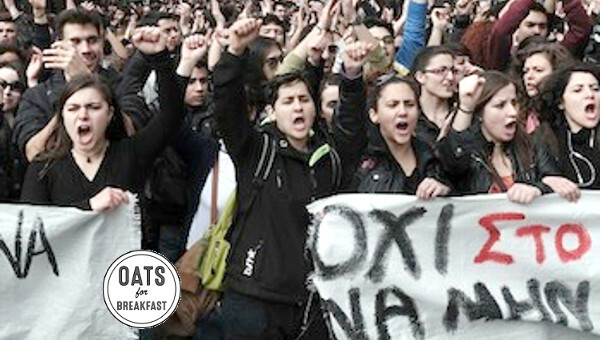 Synaspismos, the main party in the SYRIZA coalition, and mainly the Youth of Synaspismos, were in solidarity with the hunger strikers right from the start of their struggle. Three final remarks: First, it is the first time that the class nature of the immigrants’ issue has been stressed; previously it was considered only as human rights concern. This became clear by the fact that the hunger strikers’ victory not only improved their own position, but the position of the working class in Greece as a whole. The above mentioned reduction of the number of the working days that are required for state national care is a very important measure during this crisis period benefitting many. 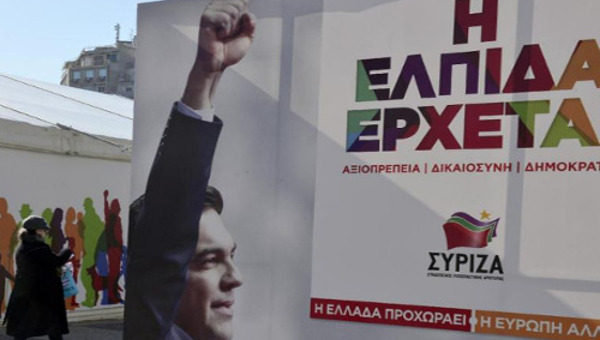 Second, on the political level, this victory was the first real blow against the hard neoliberal government policies, which have been imposed on the Greek society following the Memorandum that the government has agreed upon with the European Commission, the European Central Bank and the IMF. Third, the successful outcome of the immigrants’ struggle proved that even when authoritarianism has been imposed in a country and extreme right-wing rhetoric and logic prevails in the media, even when social struggles are criminalized and entire groups of people are excluded from society, the radical Left should try to give voice to the most vulnerable victims of the crisis, in the interest of democracy. This article first appeared on Transform! Europe. 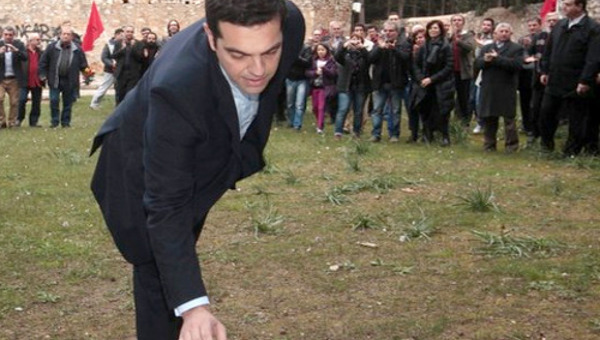 Vagia Lysikatou is a member of the Nicos Poulantzas Institute.